The studio was very complete with games, bbq, oven and everything you need in the kitchen. The garden is very big and lots of place to relax. The location is also perfect to explore the Loire region. Le Petit Grenier - Great Getaway! What a terrific find. 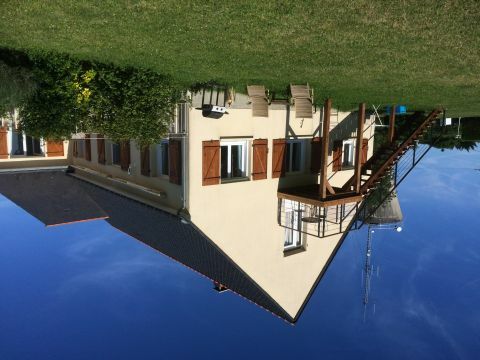 If you're looking to explore the Loire Valley but also want to stay somewhere that is peaceful just to relax and unwind then I would highly recommend this studio gite run by Joan and Peter at Le Mortier. They've thought of every conceivable item for the gite which was clean and comfortable and in my opinion offers great value for money. Local shops and amenities are just a short car drive away but that's no bad thing as the property and grounds are out in the quiet French countryside. Add in the use of their heated outdoor pool and hot-tub and pretty much everything is catered for. Peter and Joan are wonderful hosts and you really will feel part of the family during your stay. Check it out. We stayed for a week, in the studio Gite, at the end of July! The location is pure heaven! Tucked away in the countryside but with easy access to shops, supermarkets and road links to surrounding areas! The Gite is small but perfectly formed and is well equiped with everything you need for your stay! Joan had provided a welcome pack, free of charge, which really was a pleasant surprise. They were 'hands on' with information on places to visit, but not intrusive! The pool and Hot tub were fabulous and all clean and beautifully kept! We booked an evening meal with them, on our last night and it was amazing. Peter is an absolutely fantastic chef! The quality of the food served was gorgeous and the presentation was amazing! We absolutely loved our stay at Le Mortier and would highly recommend it to anyone visiting the Loire! We will return. Many Thanks Joan and Peter! 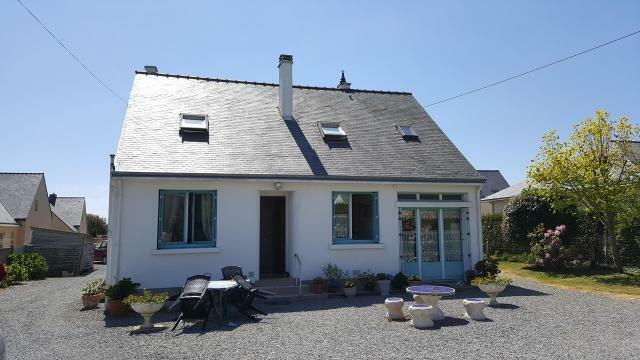 Well appointed, clean gite in a peaceful setting. Owners warm and friendly, helpful when needed. Although in a very rural area it is not far to wine and chateau areas. Recommend asking Peter to cook a meal for you - ours was superb both in content and presentation. The Petite Grenier was comfortable and sufficiently large enough for 2 people. 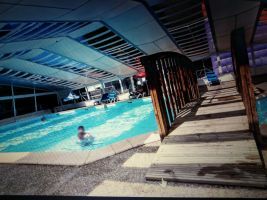 Outside there is 2 seating areas with different aspects as well as the use of a well maintained heated pool and hot tub. The gite was well ordered and compact. The place was in easy reach of the Loire chateaux. The etang (small lake) was full of frogs and crickets abounded, I saw 2 baby coipou playing on the banks in the evening sunlight! Lovely to see the horses in the field. Joan and Peter were most kind and hospitable going to great lengths to accommodate us in spite of my foolish muddle over dates. What a wonderful peaceful place to escape. 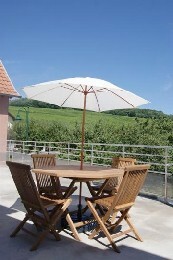 Beautiful gites, furnished to the highest degree with everything you need for a relaxing time. Gastronomic delight if you try one of Peter's 3 course menu - highly recommended! They were very welcoming hosts. 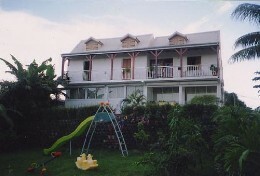 A comfortable Gite with use of heated pool and hot tub. Peter was a very helpful host. We both really enjoyed our stay. Joan and Peter are great hosts willing to provide information on local activities and ensure that our 5 day stay was going smoothly. We enjoyed the opportuntity to share a wonderful meal with them, prepared by Peter. Gite comfortable, clean and tidy and located in an interesting area though perhaps a little further from Samur than we would have preferred.